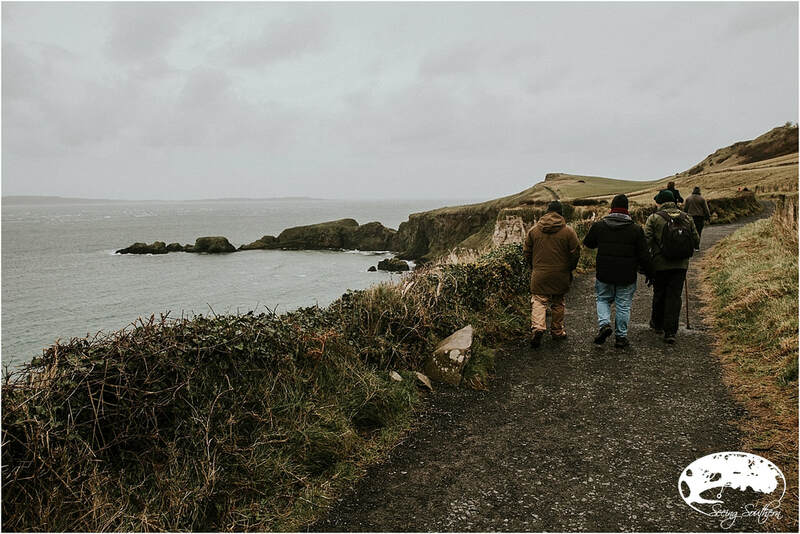 Our journey to Ireland, once again, takes us to the Emerald Isle in winter. Although winter's hues are welcoming and gracious, we long to see the vibrant and lush greens of the spring and summer; we have promised ourselves that there's a summer jaunt in our future. We do remind ourselves, that as much as these views take our breath away, the warmer weather must cause your heart to erupt in dance. However, we have come to love this country in the dead of winter; its beauty triumphs way beyond its pastures and sunny coastline. Every small village, every intimate pub, every miraculous rainbow, every spritz of snow and sleet, and every person we meet make us fall deeper in love with the Irish - and none of those has anything to do with the weather outside - well, maybe one! This time around, it was Northern Ireland that consumed most of our time. As a small country, getting from one side of the country to the other is easy, and with a rental car, you're able to do it at your own pace. Outside of the larger cities, the roads become intimate, small and narrow, with little traffic other than the occasional vehicle and sheep moving from one pasture to another. With a multitude of places to visit, even a week is much too short of a time to spend in this most northern spot. 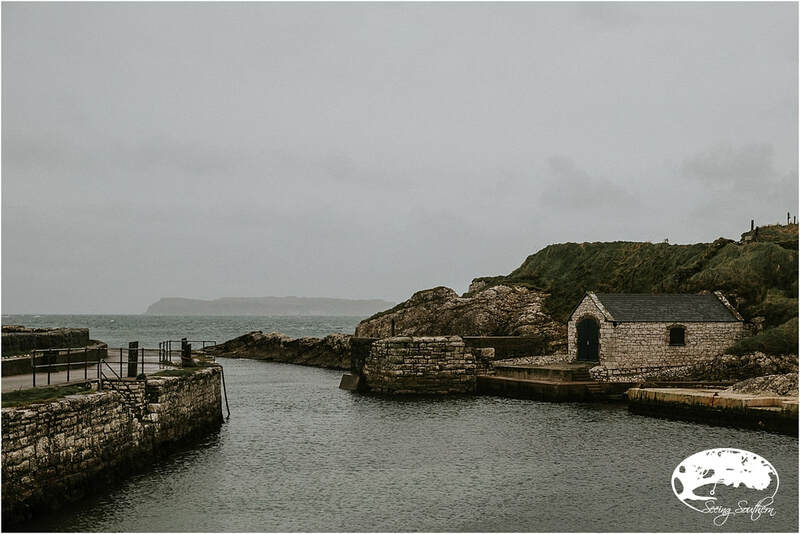 Follow the signposts of the Causeway Coastal Route, and you will wind through small inland towns within a few miles of the sea and coastline views that will leave you breathless. 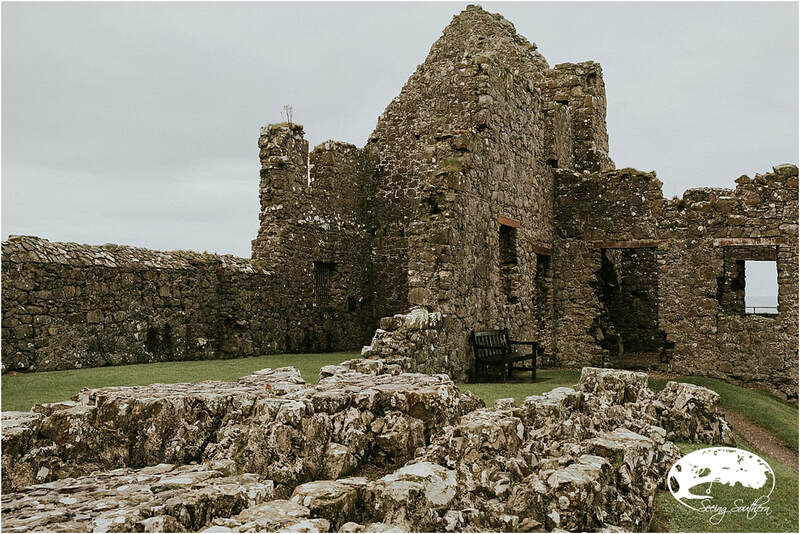 You'll travel through metropolitan Belfast, walk through history at Carrickfergus Castle and Dunluce Castle and make your way to picturesque Ballintoy where Renly Baratheon's army camped. You'll see the harbor, more notably known as the Iron Islands from Game of Thrones. 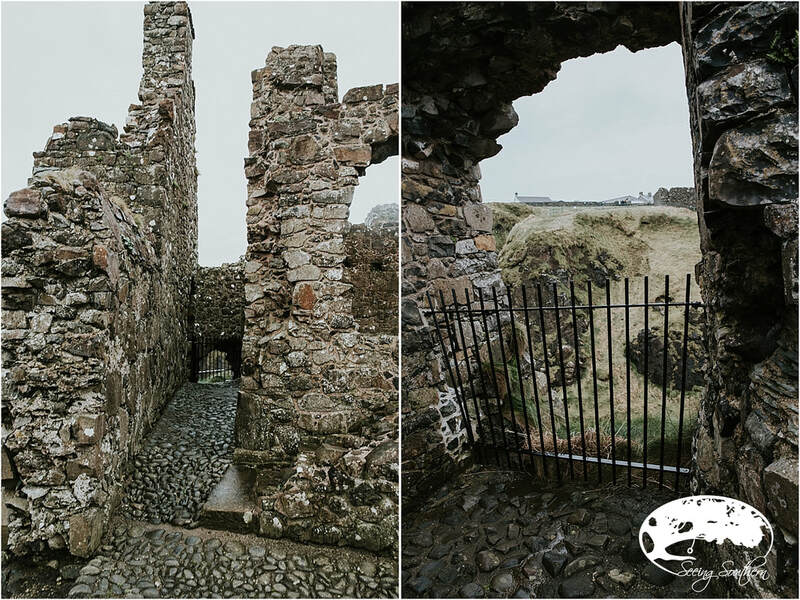 Don't miss the lovely coastal village of Cushendun and the Cushendun Caves (located behind the village, where Melisandre gave birth to the shadow creature) and Mary Mcbrides Bar (you'll find one of the Game of Thrones doors in the back). With only a couple of days, here's Country Antrim at a glance. They are simply rocks. You climb from one stack to the next. Piles and piles of honeycomb forged rocks, one towering over the next, almost stepping-stool-like, as if someone intentionally created them to make it easier for explorers. 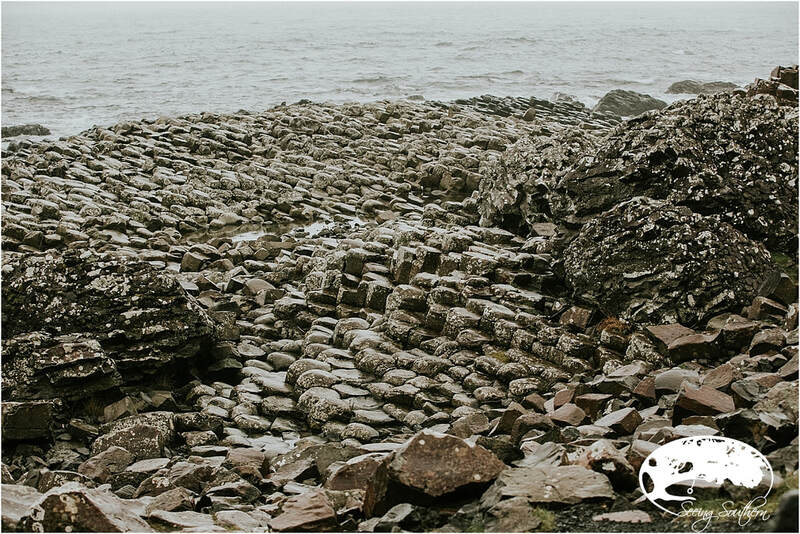 Rocks stretched from the sea to the land. Small stones then larger ones, pillar after pillar until, as an observer and a stranger, you finally get it. In front of you, the winds from the sea, pound your face with nudges of understanding in hopes that you will sense the energy, the brutality and brawn of this place. Turn around and the rugged and green, sky-high cliffs tell a story of how generations of people mustered a living from the land. The sea. The rocks. The cliffs. Each played a role for the people who lived on the edge of the world. In this place, legends were born and myths created telling the story of how this site was formed. It's geological gravity is only surpassed by the tangible peace that blankets those who walk over and alongside the rocks. 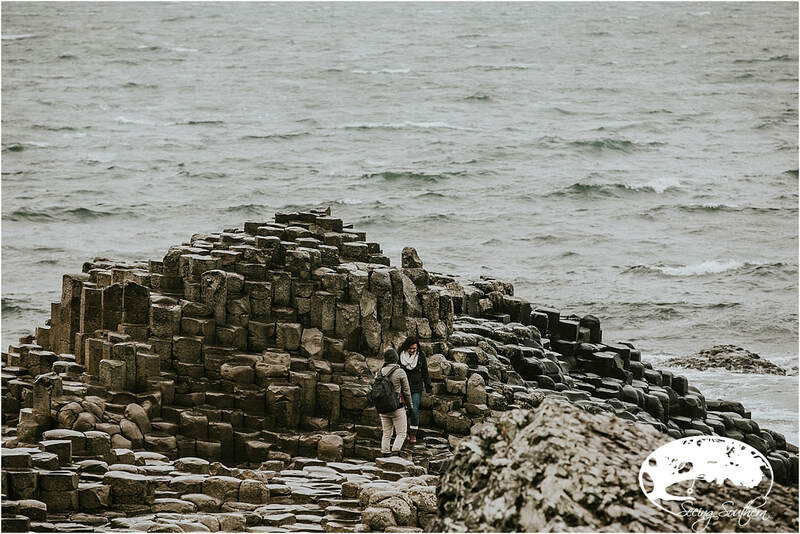 In the midst of a formation that is so extraordinary, you grasp that along these 18 miles of rugged coastline of white chalk and black basalt cliffs on the North Antrim Coast, you are experiencing thousands of years of history with each step on each rock. 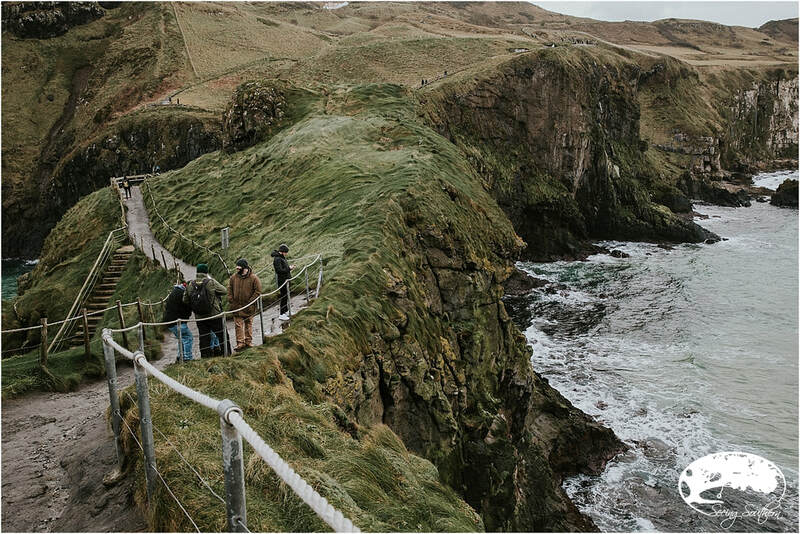 As a UNESCO World Heritage Site, Giants Causeway will welcome its largest number of visitors ever during 2018. 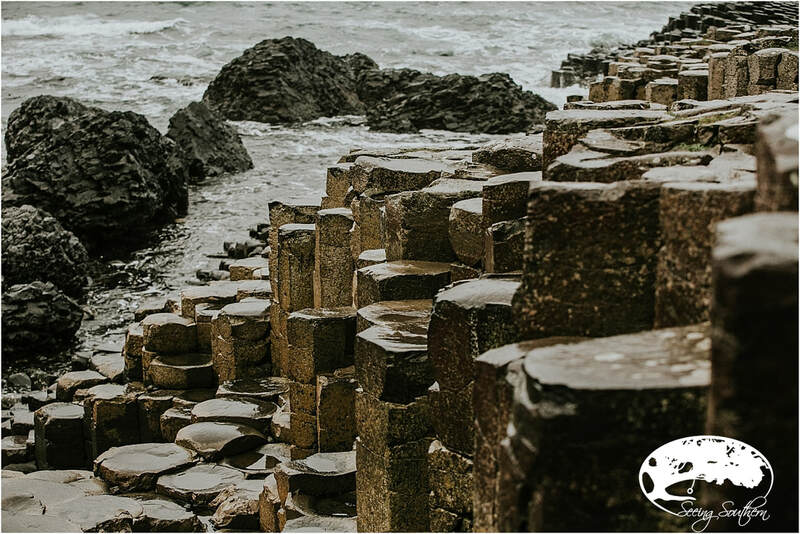 With Lonely Planet naming it as the top region to see in the world for 2018, even more will walk the hexagonal stones. The entrance to the UNESCO site of Giants Causeway symbolozies the many pilars standing along the coastline. Designed as not to distract from the natural setting, these pillars are the visitors introduction to the coast. 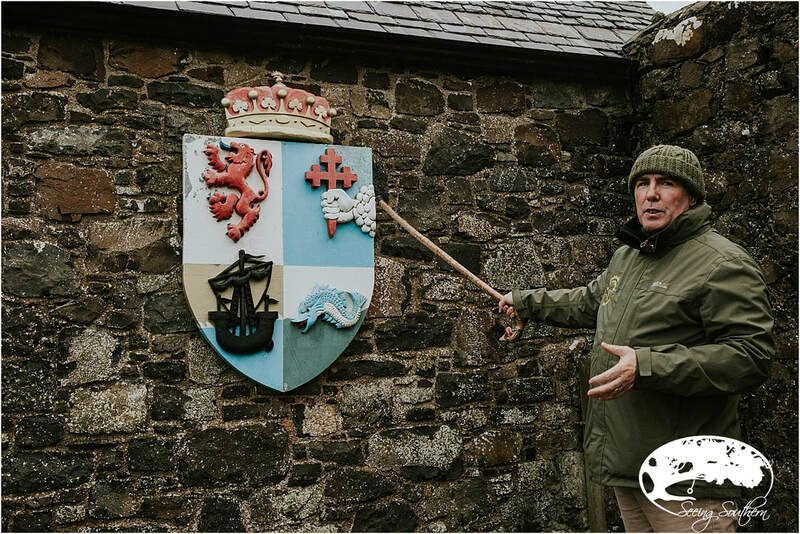 Mark Rodges of Dalriada Kingdom Tours is part of a family that has called the Causeway Coast for generations. His tapestry of myths, legends along with the history of the people who lived here will have you walking through history. As most castle stories go, this one was, too, a rough one. 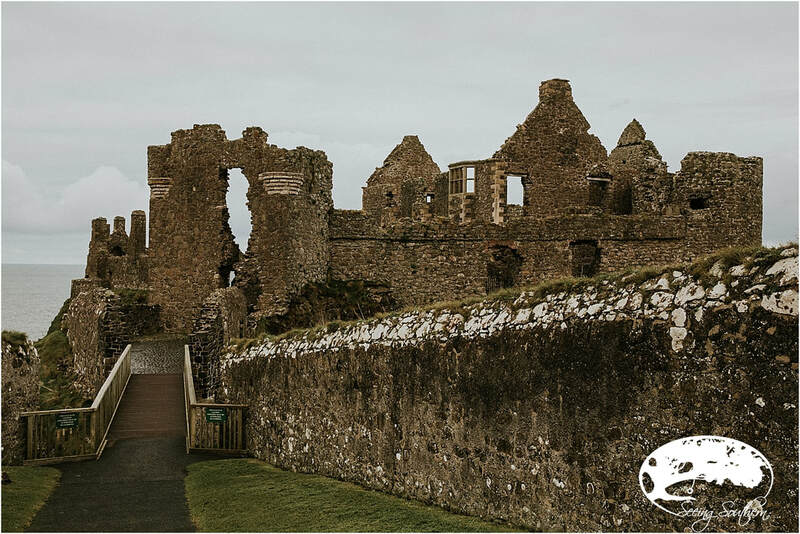 One of the most picturesque castles of Northern Ireland, Dunluce guarded the jagged coastline for almost 1,000 years. Inhabited by both the MacQuillan and MacDonnell clans, the present day remains date back to the sixteenth and seventeenth centuries. It was first constructed in the thirteenth century, with later additions fortifying its presence. The castle with a labyrinth of caves beneath is linked to the mainland only by a footbridge. Its ruins remain majestically perched at the sea wall. Within the pieces of fallen walls and loosened stones are hints as to their lifestyle. The fireplaces where they prepared their food; the holes in the wall where protection was granted; partial columns and decorative towers that prove their need for beauty. Legend tells of the kitchen, which was constructed on the cliff, falling into the sea, and only a kitchen boy surviving. After that, the owner's wife refused to live there any longer. Its visage has been seen within movies as well as in art of Led Zepplin's 1973 album House of Holy. The man's load was back-breaking, but he had to withstand its tug to lay his load down. Each step forward on the single board seemed to throw his weight backward, but he held on tightly with one hand to the single rope, the other, to his bounty. 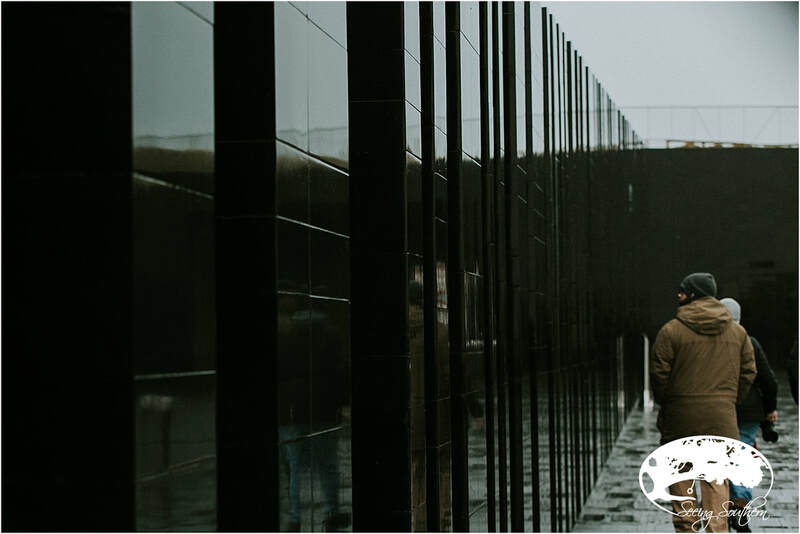 The blistering wind rocked his body violently, but still, he put one foot in front of the other on each single slat separated by spaces filled with a sharp image of the angry sea some 100 feet below, making his way back across the 66-foot passageway. "Don't look down," I imagine permeated his thoughts. 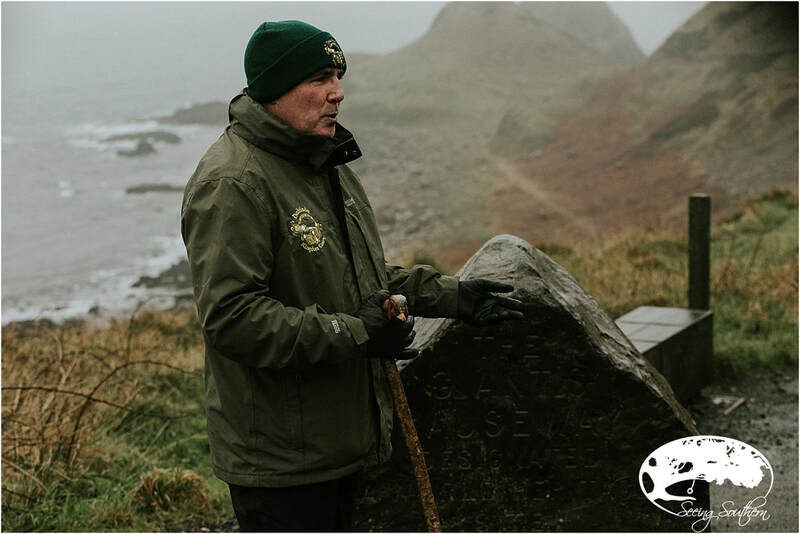 It was the migrating Atlantic salmon searching for the river in which they were born that beckoned him to the tiny island and isolated shores of Carrickarede, emboldening him to look beyond the cliff, the rocks and the raging sea to what was possible. A good catch, some days in excess of 300 salmon, would feed his family for months. 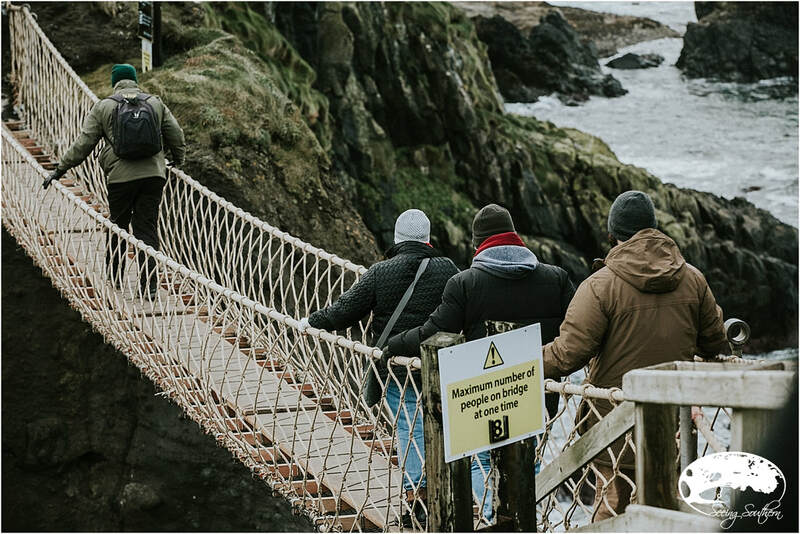 Fishermen no longer had to rely on a boat to reach the mainland but simply had to make the walk across a bridge that men had been walking since 1755. It was challenging work to watch as the waters bounced off the jagged rocks while scooping salmon into nets. When it was good and the bounty was immense; it was worth the risk. As years passed, the spring to autumn season's catch decreased. What would be caught in a single day would be the sum for the entire season. The last fish was caught in 2002. 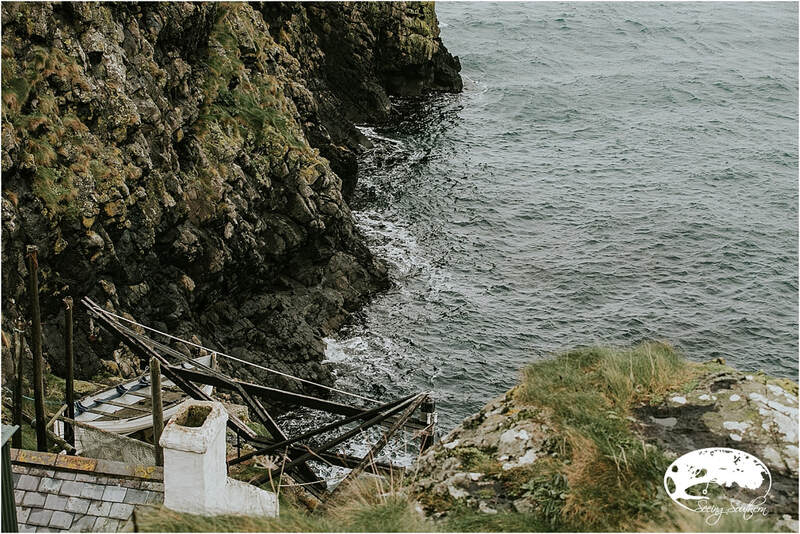 The fisherman's cottage alongside the crane used to hoist the wooden fishing boats still clings to the cliff, opening occasionally as historian's tell the tales of the isolated and daring fishermen. 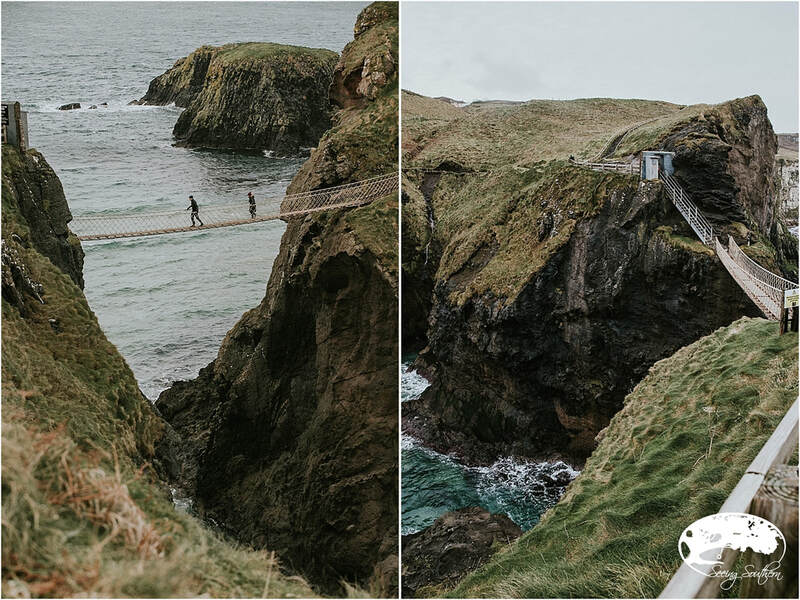 Today, Carrick-a-Rede Rope Bridge has ropes on both sides rather than a single line, a slightly larger slat walkway, but the view has not changed. Assembling nerves to descend the steel steps onto the bridge is in itself challenging but as adrenaline kicks in, one foot in front of the other is the best course. No delay. No hesitation. Simply, walk. A lesson in living from 350 years of faith. And as each year passes, more visitors take the dare, making 2016 a record year. Tickets (now offering timed tickets to avoid long waits) can be purchased on site; keep in mind that the ability to walk across is dictated by the wind. Just beyond the crocodile's head (notice the rock formation that juts out from the mainland to the sea), Rathlin Island. 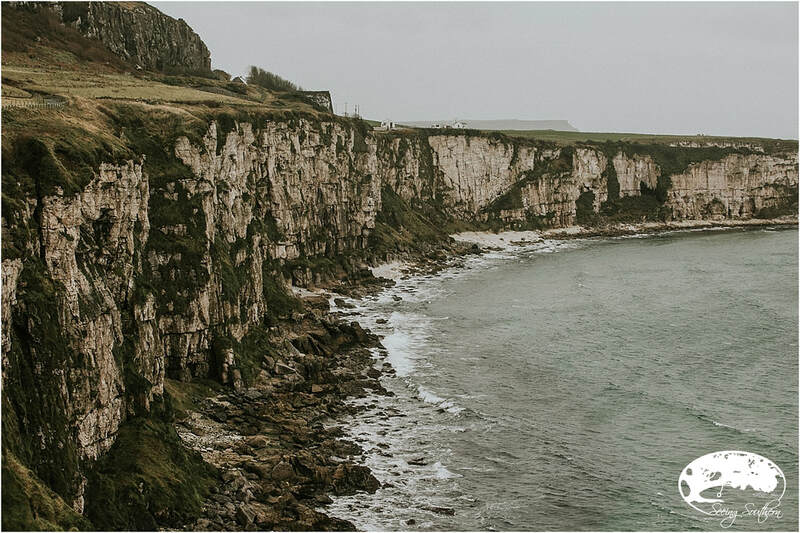 Traveler's NOTE: In unison, we spoke (in our opinion) that the coastline of Northern Ireland surpassed Cliffs of Moher along the western coastline of Ireland. With the ability to walk closer to the water's edge and when you add the magnificent rock formations, no contest. The Dark Hedges has long been a Northern Ireland treasure; now, the world has discovered the avenue of beech trees and is coming. So much so that cars and tour buses are now banned from using the road as of last year because of the eyesore and the destruction. Planted in the eighteenth century by the Stuart family, the landscape is eerily consuming. 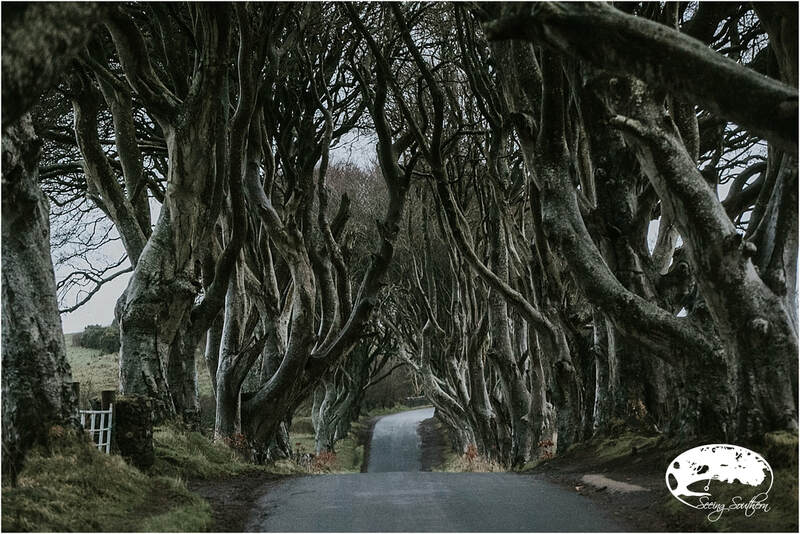 To get a more epic look at this road, watch the first episode of Season 2 of Game of Thrones, and for 17 seconds, you'll be amazed. 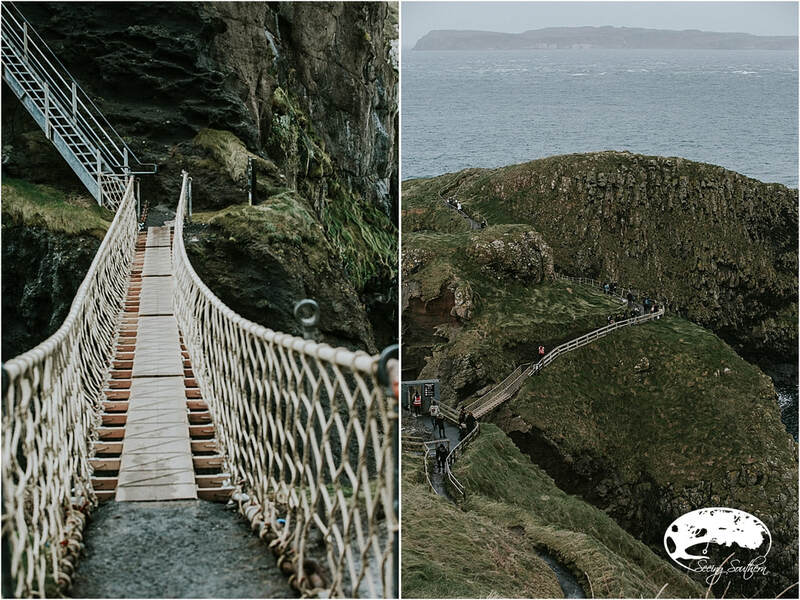 Carrick-a-Rede Bridge: Once a rope bridge walked by salmon fisherman, now a bucket-list walk 100 meters over the sea. Open year round except December 24, 25, 26. Admission, 7 pounds adults. Schedule is dependent upon weather. Cannot be pre-booked. Causeway Hotel: A lovely 28-room hotel located on the UNESCO Giant's Causeway site and built in 1836. Bushmills Inn: For the finest in lodging, Bushmills Inn is a must. 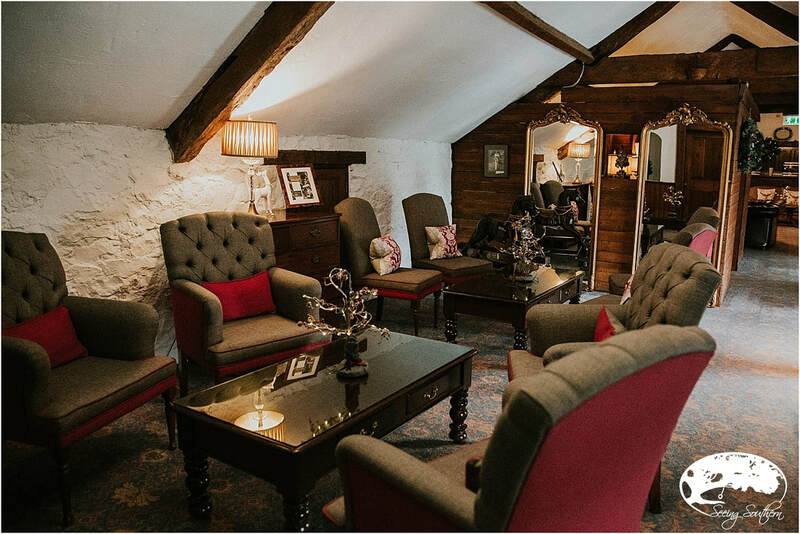 What began as a Coaching Inn in the 1600s, it is now an experience of tradition and luxury. It never loses its historical ambience even with modern updates. Fine dining followed by an evening in the Gas Bar including live music and cozy peat fires. Located in the heart of Bushmills and near the Old Bushmills Distillery. 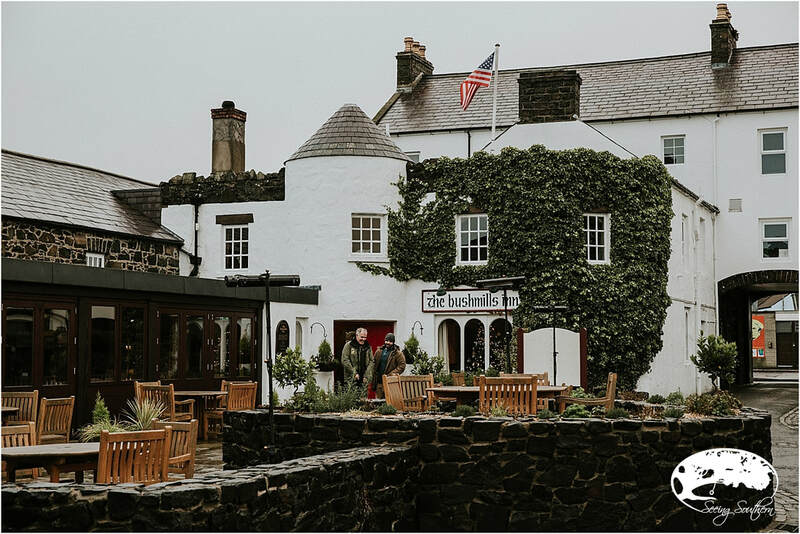 In the heart of Bushmills, discover The Bushmills Inn. It's original structure - now the restaurant, built in the 1600s as a Coaching Inn, has now become modernized but not at the expense of losing its history. The main part of the Inn was built in 1820 and was a popular site with Causeway visitors. It was also given the first license to brew whiskey. As the Causeway grew in popularity, the Inn waned. History tells us that it was a boarding house, a private dwelling, a factory for making bicycles and, on the top floor, a residence for chickens! In 1987, restoration began. With each addition, the owners have methodically retained its historical sense with attention to comfort. Now, with 41 rooms each named for Irish whiskies, many overlooking the Bush River, it is the epitome of luxury. There are nooks and crannies everywhere, with sofas and chairs; outside gardens with sitting areas and blooming flowers; and in the winter, Christmas lights and trees sprinkled everywhere, even in the rooms. And there's no better place to end the day than at the Gas Bar enjoying their bar bites, live music and a pint of Guinness. And if you're feeling a chill, nothing warms you quite like their divine Irish Coffee! Bushmills Inn. One of the most unique touches we've ever discovered at any hotel: notice the flag flying over the entrance. In their flag room, there is one from every country. They fly the flag of the guest who has traveled the farthest. Today, it was us. An amazing place to rest your head. Ask about the secret library and the screening room!